A dream doesn't become a reality through magic; it takes sweat, determination and a hell a lot of hard work. But an inspiration or two along the way is a great way to keep focus for achieving that dream. I take my inspiration from everyone and everything. I'm inspired by beautiful and honest blog posts, photography, social media but most of all I am inspired by people dedicated to their dream. The hard workers, the grafters, the dreamers, the believers and the achievers. 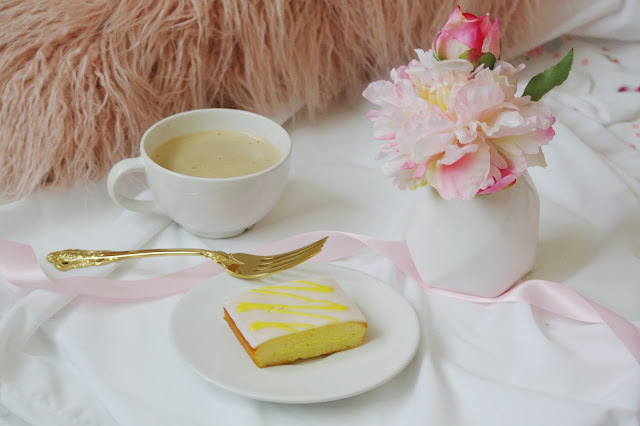 By sharing my blogging inspirations in the hopes that you may become inspired by them and perhaps remember why you love this wonderful world of blogging, just in case you're in a blogging slump! I have also been an avid reader of blogs, actually you could say that I has become somewhat obsessed with them, spending many nights binging on post after post after post. But I do have to say that bloggers are the reason why I started a blog. As I like to google everything, when researching 'how to start a blog' I came across some many posts talking about all the good things and bad things that come with blogging. I decided that blogging for me would be an outlet to talk about my life as a mum to one and exploring all the adventures as a family of three. Especially a place to talk about my journey into motherhood, and talk about the fact that it was probably one of the hardest things my husband and I have ever gone through. By sharing my story I hope to empower others who have struggled with infertility and to know that they are not alone in their journey and hopefully reach out. I must admit, it's a journey that I am apprehensive about. I started my blog because I was feeling so lonely, so low and felt the need to share my story. Blogging for me has been therapeutic. It's not been easy, but I do feel comfortable within my own skin to share my story to empower others to share theirs too. I have always been obsessed with beauty blogs, spending hours and hours scrolling, bookmarking and shopping through affiliate links. And I remember dreaming about starting my own blog and becoming my own boss, but I never really has the courage to go and put myself out there. However, something made me think it was time to start a blog. Three years on and I now make an income from my blog and this year I become self employed all from setting up my little corner of the internet. It's thank to these three blogs that I decided to step out my comfort zone and build up the courage to click that publish button. It's a step that I know I will never ever regret. Dizzy Brunnette: Way before becoming a blogger myself I would spend hours and hours scrolling through Corrie's blog, it's just so beautiful. This girl, is legit an inspiration. Corrie loves to share snippets from her life, beauty, fashion (she rocks those instagrammable walls), talking about her pretty in pink wedding and her beloved labradoodle Frankie! Who is the cutest pooch about. What I love about Corrie is how she comes across in her blogs and Youtube videos, it honestly feels so genuine and she seems super friendly. My favourite videos are her beauty hauls, and her tips and tricks with beauty looks. Another reason why this girl is pretty amazing is those luscious locks she maintains, she is most definitely a hairspiration. Jordan Bone: Jordan is a makeup and motivation Youtuber and published author who lives in Norfolk. WOOO! This girl is most definitely one of the most inspiring Youtubers out there at the moment and I have seen her brand go from strength to strength and I know it will continue to do so for many years to come. Back in 2005, Jordan was involved in a car accident which would change her life forever. Ever since that day she has been a quadriplegic, paralysed from the chest down, she has also been through depression because of the reality of her injury. However, despite how difficult her life as a quadriplegic can be she is super positive and has a drive to live a full life and created her own YouTube videos about positivity and motivation to hopefully inspire at least one person. She has even released her first book My Beautiful Struggle where she shares her incredible story which is truly inspiring. Tanya Burr: It was her night time routine that first got me hooked onto her channel, and I have pretty much followed her since them. I guess that's what I love about blogging, is that you see bloggers grow up, you get to see them through all their life changes. Tanya Burr is a British fashion and beauty blogger. She grew up in Norwich and completed a short course as a make-up artist before working behind the beauty counter. In 2009, she launched her YouTube channel, uploading make-up tutorials, telling people how to recreate celebrity looks at home.. Tanya launched a line of cosmetics through Superdrug and released a non-fiction beauty guide and others books. I just love how honest and open she is about everything, there was a daily vlog where she completely broke down and cried. Everything got too overwhelming for her, and she poured her heart out. And that in itself takes courage and I completely admire her for that. Dilan and Me: I discovered Lauren through a blogging group and was enthralled by her gentle and gorgeous Motherhood blog and Instagram feed with her son Dilan. Honestly, her photography is so beautiful and Dilan is just the cutest little man. I must also note that she has recently embarked on an incredible company with her partner of Adam Robertson Photography empowering women through the message ‘We Are Enough’. Aside from this empowering message for women she has also has been brave enough to share a parts of her life that show nothing but courage, and everything she writes is so beautiful. One to watch, that's for sure. Beauty By The Bunny: Do you ever just want to scroll through and get lost in beautiful, floral photos full of beauty products? Well then this is the lady for you. Angela is an Instagram queen. She loves makeup and beauty products and always gives the low down on the best beauty products and shares some of the most amazing tips. And her complexion, is actually amazing. But what stands out the most for me, aside from the completely gorgeous flay lays is her sheer honesty. Whether this is on a personal level or just life in general. Angela has seen some really dark moments in the life but with all the support of friends, family and her blog she is working hard to move forward and that's so inspiring. Tigerlilly Quinn: Tigerlilly Quinn is a lifestyle blog brought to you by Fritha Strickland; a professional blogger, freelance social media-type-person and shop owner. She blogs about her family life, interior design, fashion, travel, vegetarian recipes and lots more besides! Fritha is a mum of two children under five who are completely adorable. This lady is like superwoman being able to run a multi-award winning lifestyle blog, as well running a successful shop and doting on her two little ones. Her story started seven years ago where she and her boyfriend bought a run-down house in Bristol. With little more than some savings in the bank, a few good friends with DIY skills, and lots of cups of tea – they decided to do it up. Add to the mix a their two gorgeous children and two fat cats, and they are constantly adding to their dream home. And her Instagram? Literally has one of the best aesthetics out there at the moment, all her posts are super dreamy. Georgina Gardner: I'm so obsessed with Georgina, and all those pretty darn cute flay lays. Gee is 20 something year old, sleep deprived girl Mum to Eloise and Lily, wife to be to Ben who has been blogging for five or six years. I have been questioning why have I only just discovered this beautiful blog now? And her photography is so pretty, delicate and very feminine. I really love the way to takes her photographs with the compositions, the theme and not to forget to mention how bright and beautiful they are. I really love her style. Little Paper Swans: I came across Cathryn in a Instagram hashtag and pretty much since there I have ever so slightly fallen in love with her photography. I love the style and it's very the aesthetically pleasing to the eye. Pastel colours and florals are her thing. And I think that's why I find it do easy to gravitate towards her beautiful photography. Over on her blog she shares lots of tales of motherhood, gives amazing tips about Instagram and of course photography, being a photographer and all. I have also seen that she has launched her course over on Etsy for those who are interested in upping their phone photography game. Gemma Louise: This blog shares tons of advice that any millennial woman will love. The blog covers all aspects of 20-something life such as blogging, photography, beauty, style, and her personal life as a mum to her gorgeous little boy. I find the content on this site to be super relatable and love that she answers every questions or comments from her readers on her site. And her photography is INSANE! I must say her photography just keeps getting better and better and she is definitely someone that you should admire and follow. I must also note that she is amazing with graphics and illustrations too. I love the fact that she is going from strength to strength with her brand and is going to be one of those you need to watch for, all this success whilst being a single mama to her little boy is actually pretty inspiring too. Pouting in Heels: Pouting In Heels is an award winning lifestyle & family blog written by Katie Portman. Covering everything from motherhood to style, women's issues to travel, Katie aims to inspire women with her writing by speaking openly about the things we often find the most difficult to say or talk about. 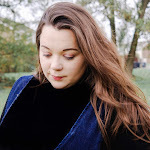 The lovely Katie Portman and her beautiful blog will be one you remember, the header immediately grabs you, don't you think? But there are a couple of posts that have really stuck with me in my journey into motherhood. You know the type of posts that are raw, honest and completely open. Yep, this lady inspires me to want to be comfortable in my own skin, to love my body and more importantly love myself. The Inspiration Edit This is a blog that you cannot help but feel inspired after visiting. I literally love her. The writer behind The Inspiration Edit is Angela who lives in Lancashire with her husband John, her very photogenic daughter Sylvia and their pet dogs Yoda and Casper. I came across her when I first started out and but Angela blogged under a completely different name, Days In Bed. And I must admit she is someone that will always chat if you want to and gives some of the most amazing advice. But after making the big decision to take her blog into a completely different direction and so The Inspiration Edit was born. Way before Angela became a blogger she was an Early Years Teacher living in New Zealand with her daughter and husband, however her life soon took a dark turn where her marriage became abusive. Angela had no choice but to get her daughter away from that environment and move back to the UK. In 2013, Angela married John, who is a wonderful step father and completely dotes on Sylvia. But it wasn't long after their wedding that Angela was diagnosed with Adrenal Insufficiency and since then has been trying to live her life the best she can with this chronic illness. You Baby Me Mummy: The wonderful Aby Moore. I honestly cannot tell you how important this lady and her Mamapreneur revolution has been for me and my blog. If it wasn't for stumbling across her amazing blog and channel I don't think my blog would be what it is today. For those who are seeking to turn their blog to a business then look no further than this wonder blogger. I am not just saying this, but Aby has helped me so much personally and professionally. But for me it was her journey before blogging that made me really fall in love with Aby and her incredible blog. A few years ago Aby and her husband were blessed with a beautiful baby girl after trying so hard to conceive, they were blessed a month before their first IVF appointment. A miracle. But soon after the birth of her daughter Aby sunk deeper and deeper into Postnatal depression and that's when she started her little corner of the internet and turn her blog into a business. A inspiration and someone to definitely admire. This has been a bit of a long post, so I think I’ll save some more of my current fave bloggers for another time. I hope that you liked this post and it maybe gave you an insight into the reasons why I started my blog and what keeps me inspired to keep writing. I would really love to know who inspires you to blog, to write or be you. 24 comments on "My Blogging Inspirations"
You’re right Gee’s flatlays are something else! I’m super jealous of them and every time I read her blog she gets me in the mood for more blogging! Yep, she's totally IG goals. You're very welcome. Your feed is a beaut. You're so right with Gee's photography! It's amazing isnt it! I've always felt Inspired by Tanya too! I love Gemma's photos also, she is my photography goals for sure haha! I adore Tanya, I'm obsessed with her channnel. Oh yes, some love the dramas! I absolutely love Corrie and in love with her blog. Her and Jim together are so cute. There are so many ladies on here that I love to, and so many that I haven't heard of before. That's whats amazing about blogging, there are so many different people to explore! Ah I'm glad you have found some new ones to discover. Oh that's good. Who are your favourites? Some great bloggers here, it looks like I have my morning sorted now!! Dilan and Me has always been a firm favorite here! Her IG feed is completely goals! There are some favourites of mine here too! Oh yay. Great minds think a like.